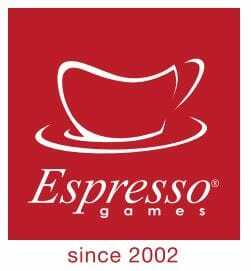 The ESPRESSO GAMES brand was created in 2002 and is currently under the ownership of Talenta International Limited, with head office in London and sales offices in Malta, Buenos Aires, Hong Kong and Miami. In 2017 the Milan office was opened, dedicated to the production of new, highly stylish games and to the diffusion of the brand in major strategic markets. The portfolio, including innovative systems like Cross-Game Jackpot Tournaments and Multi-Player Jackpots, has revolutionized the dynamic online slots market. This type of innovation is what distinguishes the ESPRESSO GAMES offering, guaranteeing maximum entertainment and top earning power.